After giving a stern lecture last night to one of my kids about accepting responsibility, putting forth appropriate effort, and doing homework, I took a breather to dash out and vote. I noticed when I arrived at my usual polling place that there were no campaign signs framing the entry to the parking lot, and my unease increased as I approached the unadorned door. 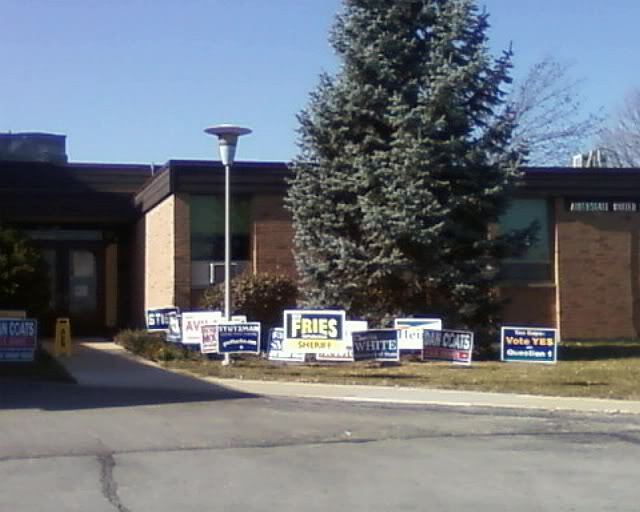 “Vote here” and “Precinct Number X” signs were conspicuously absent as I entered the building. Sure enough, there wasn’t a voting machine to be seen. A sympathetic passerby told me she had seen signs just down the road at a different venue, so I hopped in my car and headed that direction. Indeed, I found a polling place, but once inside the election officials informed me that I didn’t belong there. A quick check of their records told us that my polling place was a couple of streets over, not far from my house but in the opposite direction. Again, I hopped in my car, weaving through the neighborhood until I arrived at the new location. As I turned into the parking lot, I grumbled to myself that someone should have told me and I felt my frustration simmer. That is, until I had a flash of good sense. The real problem in my pinball scenario (which took all of 20 minutes from the time I left home until I walked back in the door, by the way) was that I had not done my homework. I made an assumption about where I needed to go and barreled out the door without checking the facts. I wasn’t properly prepared, and it was no one’s fault but my own. In fact, everyone I had encountered along the way had been extremely helpful. It was, as they say, my bad. Isn’t it funny how life has a way of reinforcing its object lessons? The minute you try to pass one on to someone else, you have to confront it yourself. And yes, to complete the circle, I told my errant child of this experience as soon as I walked back through the door at home. With a chuckle and a sheepish grin, of course. Always insight full Tammy! Great observation. It’s great to hear from you, Bruce; thanks for the kind words. I hope all is well with you.